The course is gentle and altitude acclimatization when you come in, is key – train well with hill training or a load on your back. 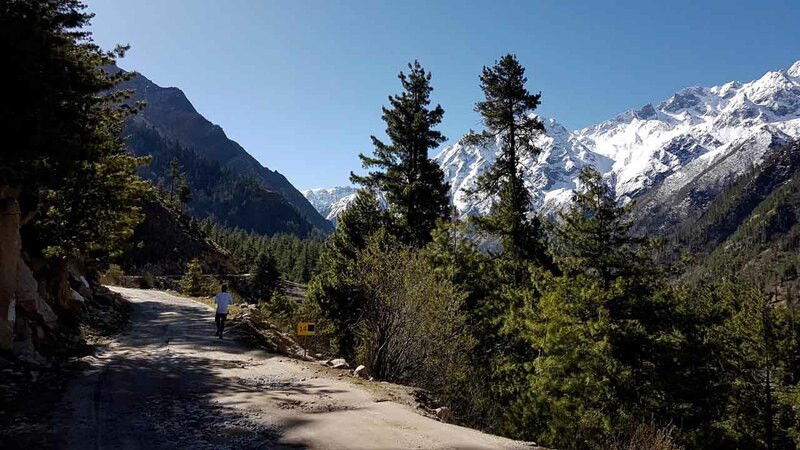 Acclimatise well on your way to, and at Sangla, get used to the altitude and stop off at Narkanda/ Thanedar on the way in and do a jog or trek early morning. 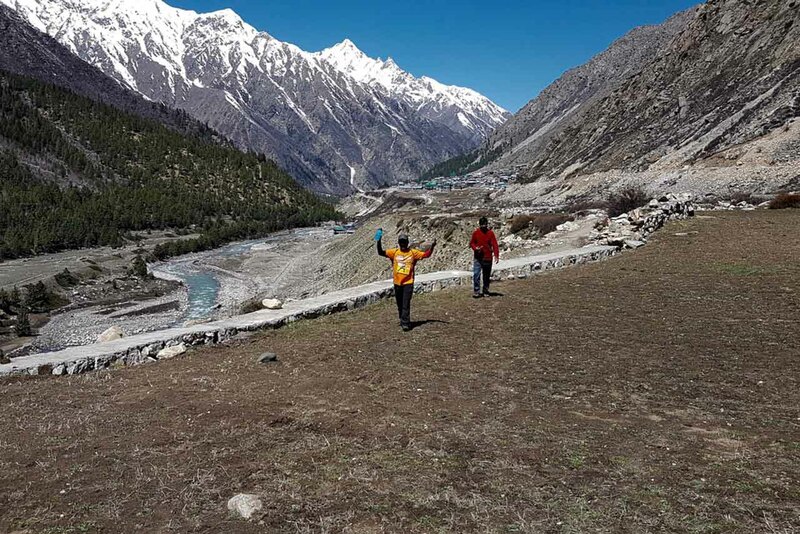 When you reach Sangla – do a few treks – it is breathtakingly beautiful. Phenomenal to come with your family. 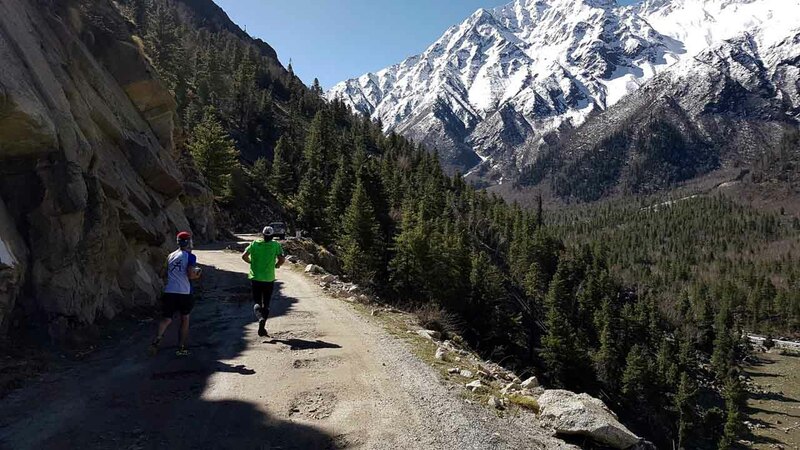 The 5km and 10km runs start and finish at Banjara Camps and have a great view of the Sangla Valley as they cross the Baspa River and go through varied forest terrain on an adventure of a lifetime which will include running over an ice field and doing an exciting stream crossing. 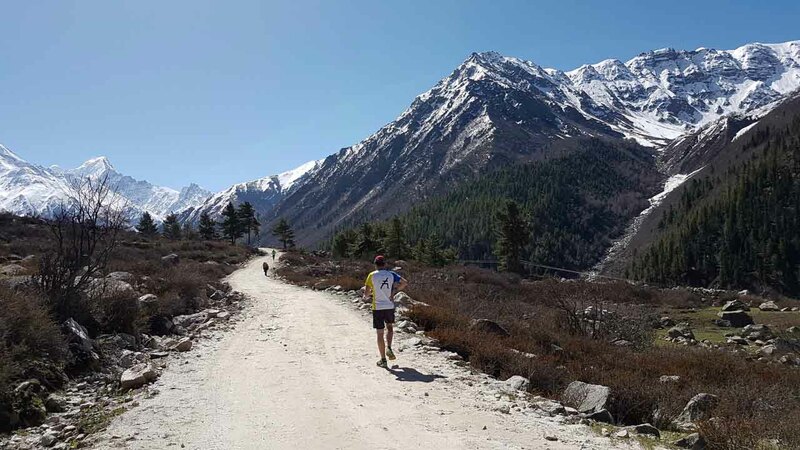 The Half and full Marathoners start at Banjara Camps in Batseri Village and do a run to Raksham – around 9 km away and carry on a bit further to Chitkul and beyond where the half marathon finishes. Participants will return in vehicles to Banjara Camp. See the Map and the Elevations - come prepared to stay a few days after the run too - Enjoy the fresh mountain air and nature. 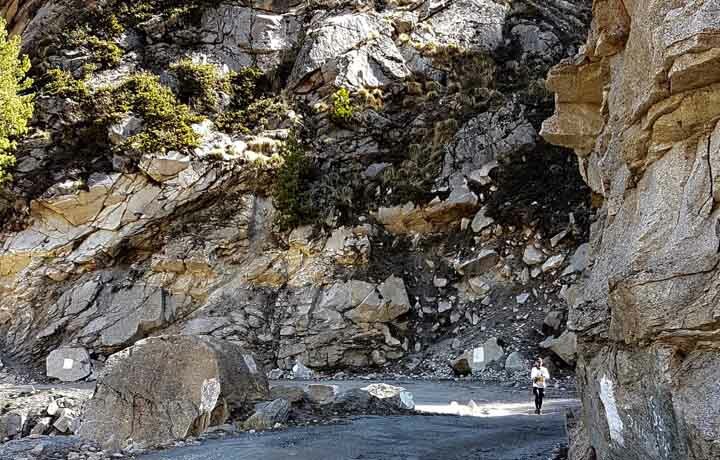 This is a great time to add in a few days and take in what Kinnaur has to offer - breathtaking views, rugged treks, quaint walks, fresh mountain air, fruit, smiles, friendly people and a close up experience of a wonderful part of the world. 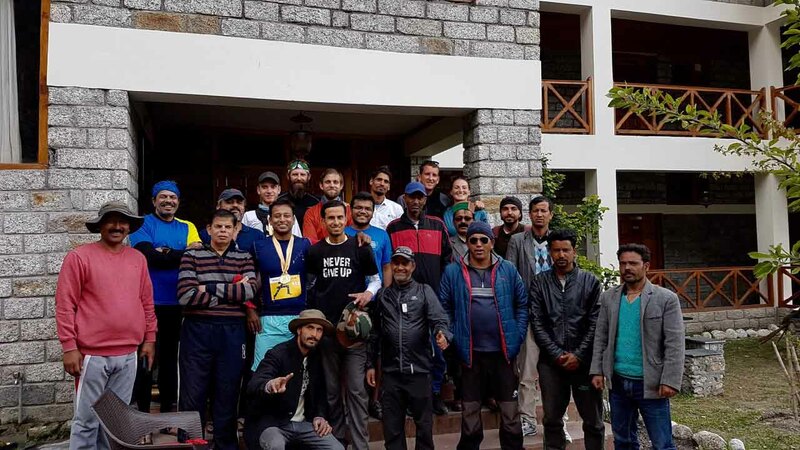 Connect with Banjara Camps and resorts to help you reach Shimla from wherever you are, and organise transport and stay facilities in the area. Accommodation around Sangla and around Narkanda/Thanedar can be coordinated through Banjara Camps. 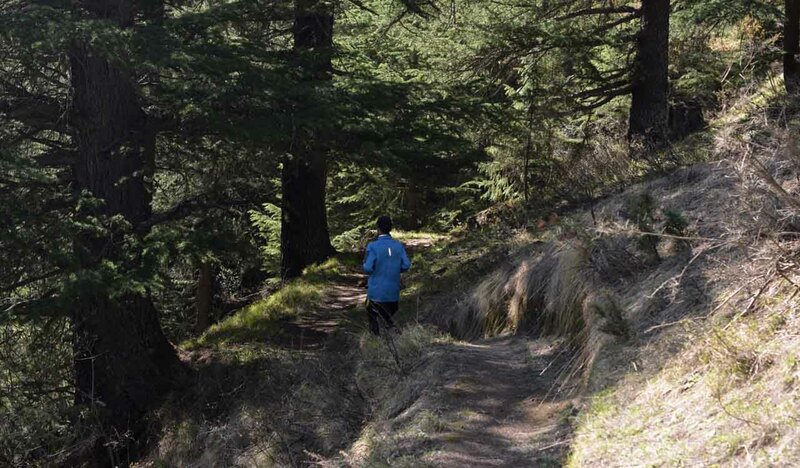 The race pack pick up, the start and finish of the runs, camp fires and post run slideshow and dinner are all at Banjara camps so try and stay there as your first options. Start planning your trip, doing your research of how you want to get there and where you want to stay depending on the size of the group and your budget and Banjara will give you a special package rate. 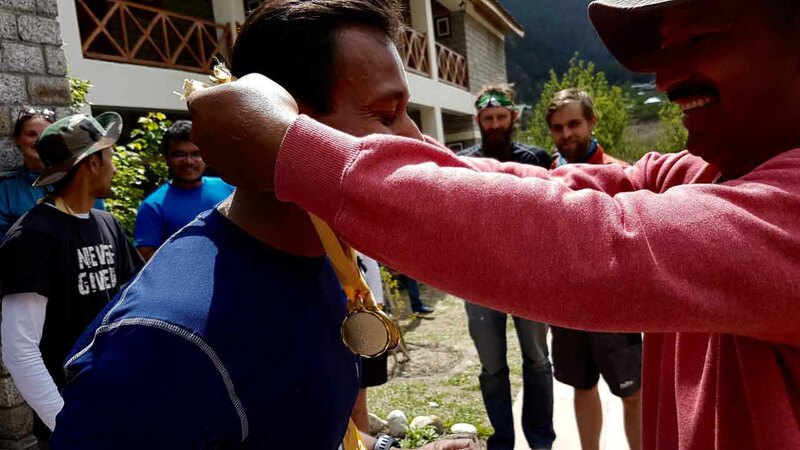 We would STRONGLY urge you to stay at Banjara Camps and be a part of the camp fires and walks and activities with fellow runners in this boutique run else you are missing half the experience - http://banjaracamps.com/. 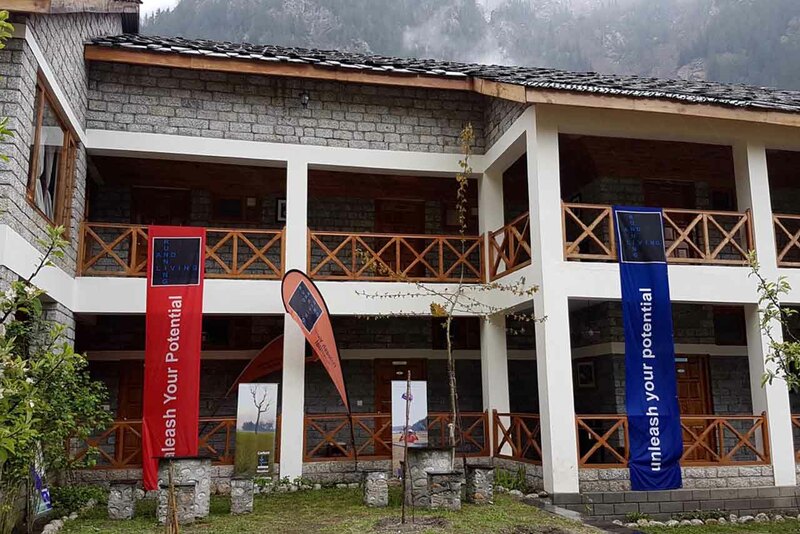 For other accommodation options from Banjara Camps and Retreats for the Sangla area connect with them at Click For PDF. If you are looking to travel with others or share a room or tent - click on the tab of Travel to link up with fellow participants. 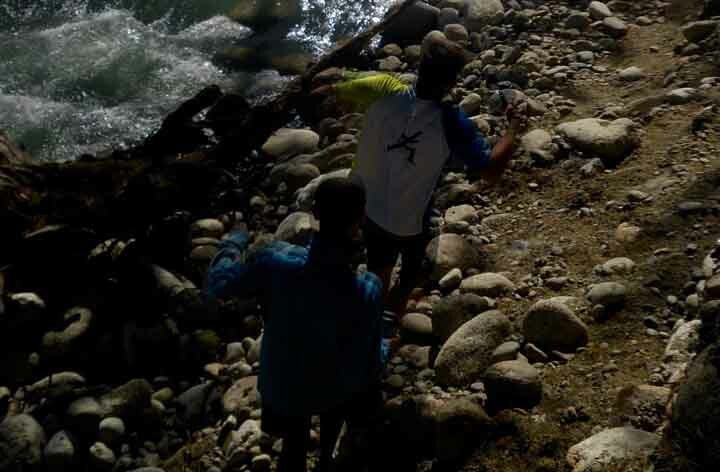 If however, you are looking for something very basic (and colder) then check out Rupin River View at Raksham which is 10km upstream of Batseri, and given them the reference of the marathon for special rates there. This is a lovely family holiday, plan for it: Leave home on Sat 27th April and arrive in Delhi. Hire a car in Shimla on Sunday noon and drive towards Thanedar/ Narkanda which are around 2 -3 hours away and at an elevation of around 8000 ft +. Spend the night there and take in a nice trek and picnic. Early morning start around 7am. 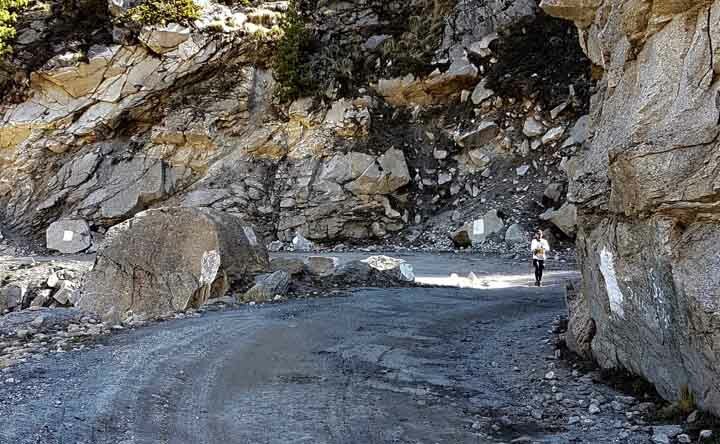 Reach Sangla on Monday Apr 29th after a 7 hour car drive to the Banjara Camp at Batseri village. 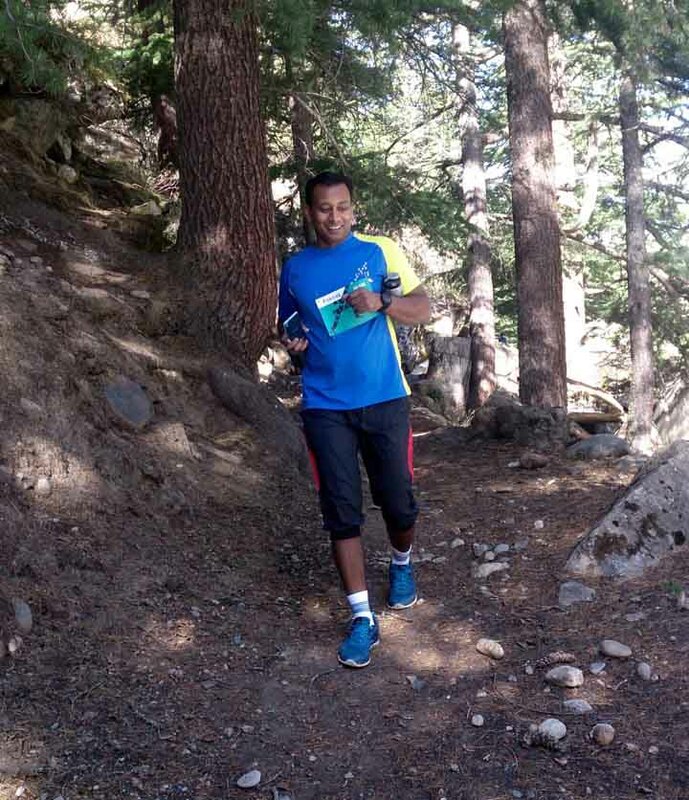 Come to pick up your race pack and stay at Banjara Camp with fellow runners and enjoy the evening camp fires and daytime treks and picnics on the route. April 30th . Trek in the morning to Raksham along the route of the 10k run. 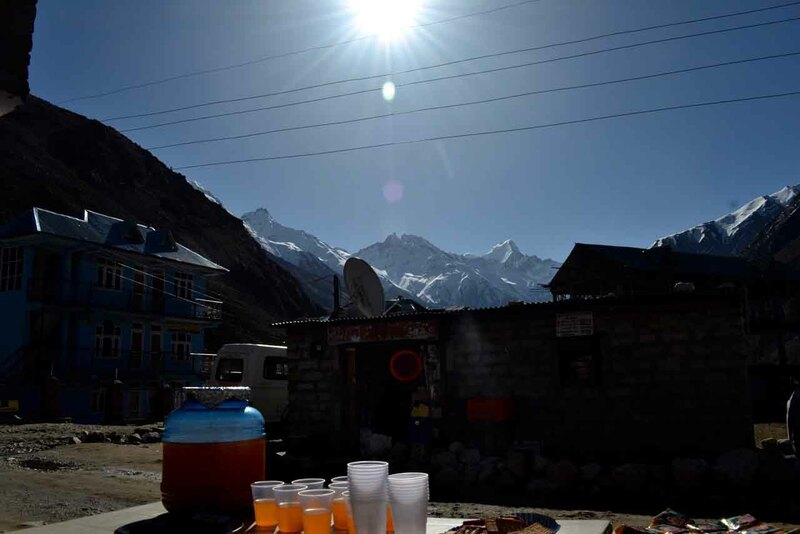 Drive to Chitkul 11500 ft and trek around and picnic there- do some short runs too and come back to stay at the Banjara Camps. 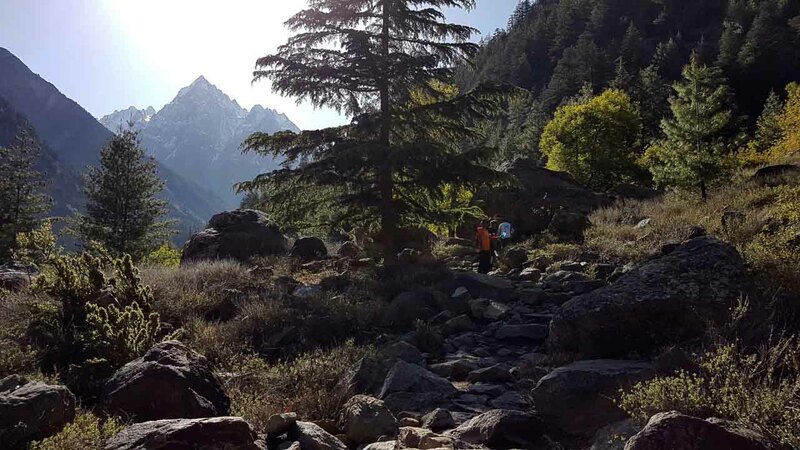 picnic / trek - lots of scenic, easy and challenging routes. Wed May 1st : The 5 and 10km runs. Assembly at 7am at Banjara Camps. The runs start at 8 am. Fri May 3rd Marathon/ Half Marathon in the morning to the afternoon. Party at Banjara Camp at Batseri dinner starting at 630pm with a slide show of all the pics - do share all your pics too. If you are training for your Half Marathon or Full Marathon click on the advanced schedules Here. These are not runs for the 1st timer marathoner or half marathoner. Remember – train well and you will finish smiling. All the very best and congratulations on your decision. Running is a fun activity but running in a race, like engagement in any activity, also comes with attendant risks, which you should be aware of, and only then enter. 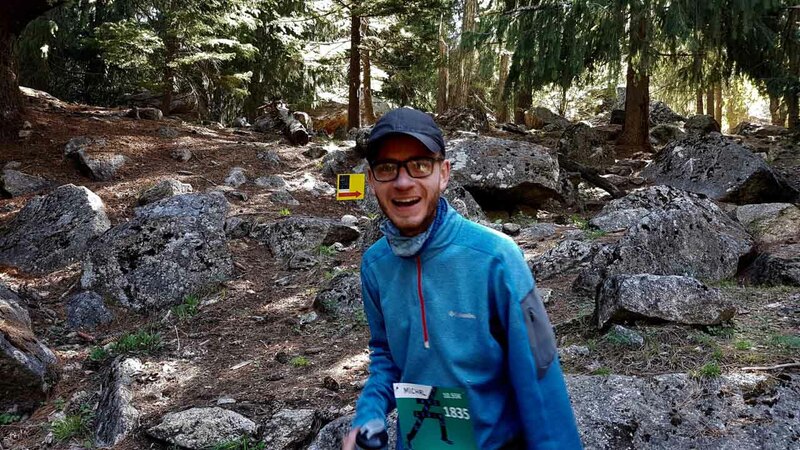 Anyone registering for this race should make sure that he/she is medically fit and does not have any precondition – however minor it may seem to them, that would indicate that they should not run eg being on some medication, onset of a cold or flu, not yet recovered from a flu or an injury etc. This run includes some cross country which CAN have a incidence of ankle twisting, slipping and falling. 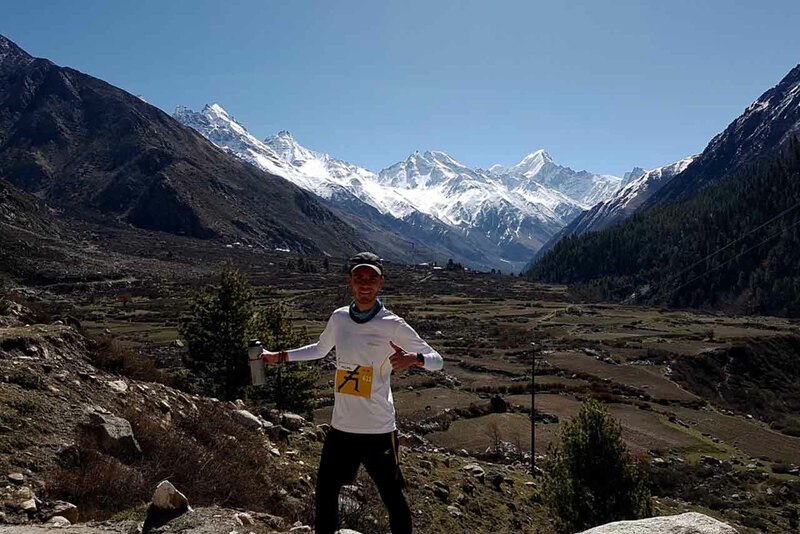 These runs are at altitude which require good acclimatization, and also listening to your body and heart and not pushing yourself beyond a limit. Walk when tired.This is critical. Also preferably, find a partner for the relay half or full marathon. Some parts of this run will be colder weather which should also require some ingestion of salty items – sports drinks or other solids or liquids to prevent cramping. We want you to have fun and stay safe, and do your bit towards that. Plan to be at the start at least 30 minutes before the start of the race as the races start on time and there is a gun start for your timing. Those who are running the full/half marathon are automatically registered for the 10km/5km runs respectively as these are pre requisite acclimatization runs for these participants. The runs are organised by runners for runners. Experience the thrill of a lifetime as you cross the finish line. 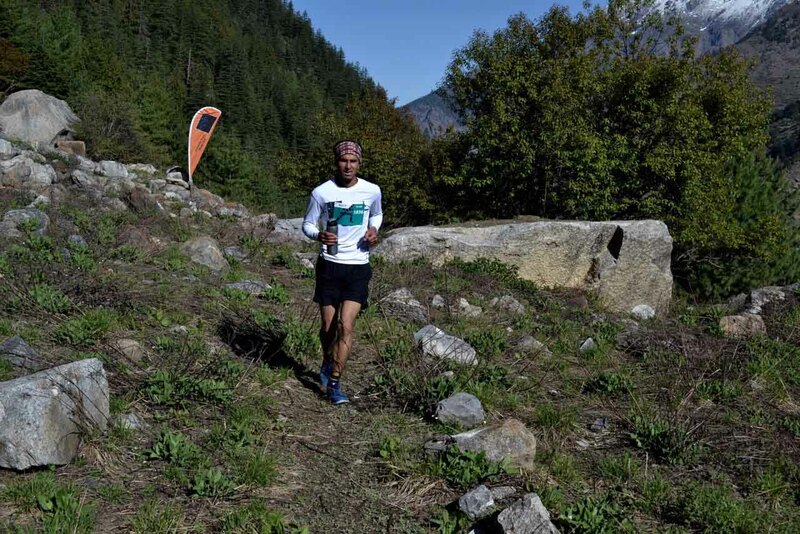 The course is tough – so altitude acclimatization is key. With Sports Drinks, Water, Ambulance and Medical Care, our Half Marathon will remain open for 3.5 hours and the full marathon for 7 hours. An attractive medal, certificate with timing for each finisher of the Full and Half Marathon and a medal and certificate for every finisher of the 5 km and 10km runs. The race number pick up will happen at Banjara Camp at Batseri Village on Mon Apr 30th between 11 am and 4 pm. You need to be there in person as part of the strict acclimatization requirement. 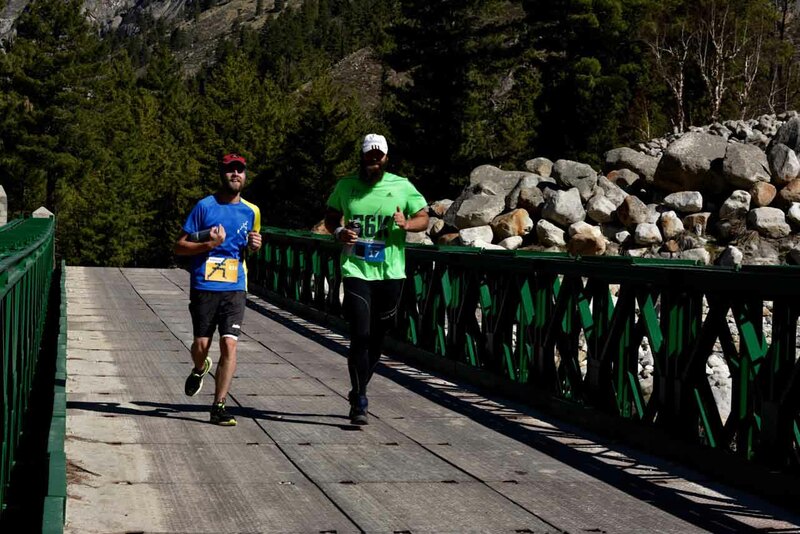 Do not take the half or full marathon lightly – this is both at altitude and a long steady climb and you need to be acclimatised well for this. Hydration is available at several points along the way but you will be carrying a water bottle for the half and full marathon which will be provided in the running kit. 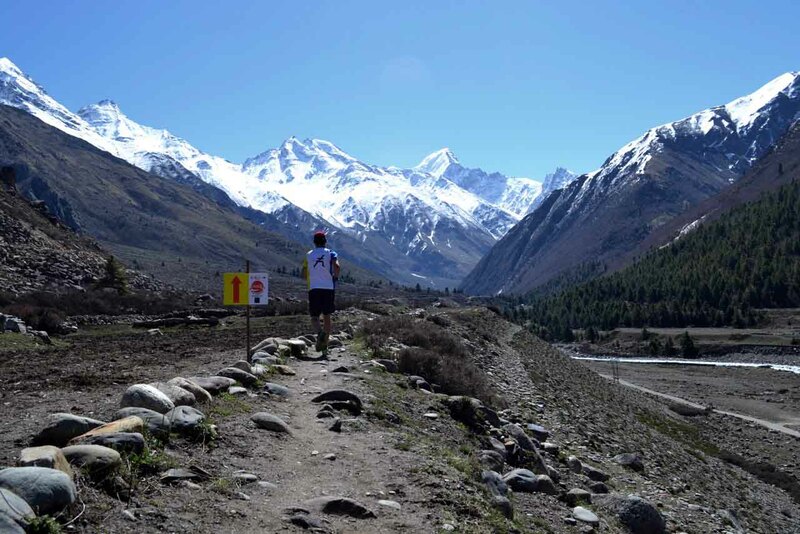 The Marathon expo will be at Banjara Camp in Batseri Village (which is just beyond Sangla in Himachal Pradesh) on Apr 29th from 11 am - 4 pm come and trek the 1st section of the course which is a trail. Race chest number pick up will be at the Marathon expo. Definitely pick this up else you will not be able to participate. There will be loads of great information which will be of great value to you. 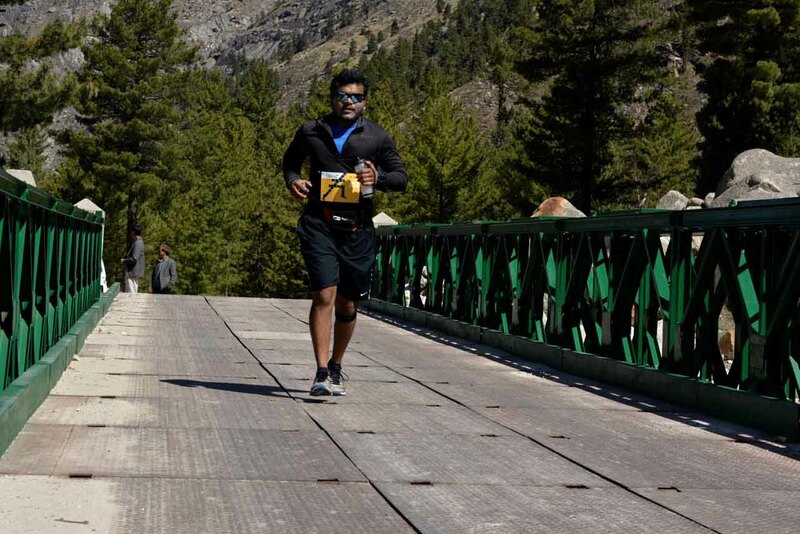 So if you are planning to run, block off time for the race pack pick up at Banjara Resorts - Batseri - you will get to know the way to the race location and will also meet several other runners and make new friends and also plan a few treks along the route both for acclimatization and familiarization. Most importantly have a blast whether you are running, volunteering or spectating, because that will help make it the most spectacular run for all of us. 42.20 KM 3rd May 2019, 06:30 AM This includes automatic regn for the 10km run on 1st May for your acclimatization. 21.10 KM 3rd May 2019, 06:30 AM This includes automatic regn for the 5km run on 1st May for your acclimatization. 7000 + 18% GST till March 15th when registrations close. 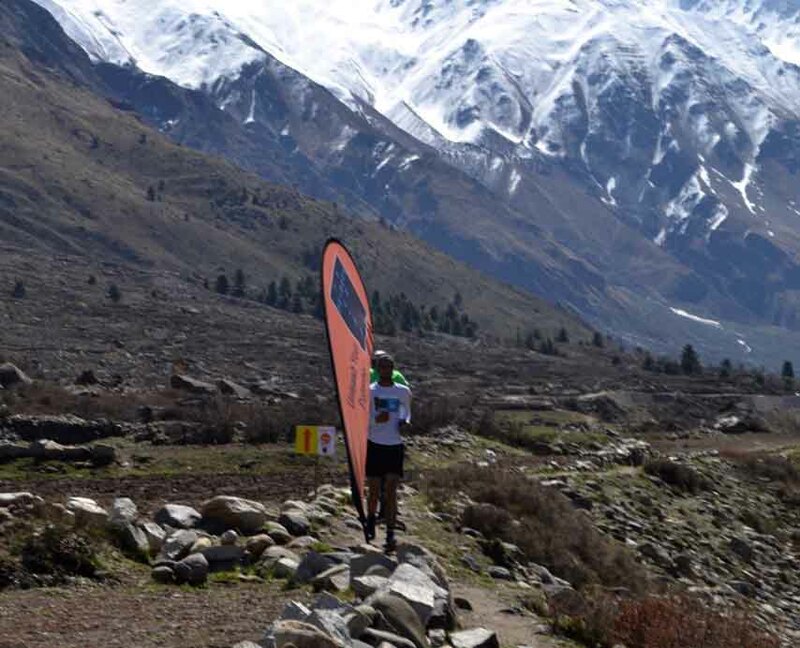 A few spot registrations @8500 at Sangla on 29th April at Bib and race packet pick up at 11 am - 4pm at Banjara Camp at Batseri Village, Sangla, Kinnaur District. You HAVE to make it in person as part of the acclimatization requirement. Dear user if you are registering for another person(Family/Friend) then create/login into his account to register them.